A view of Pleasant Valley and the town of Bellvue, CO area on another big day for the High Park Fire. 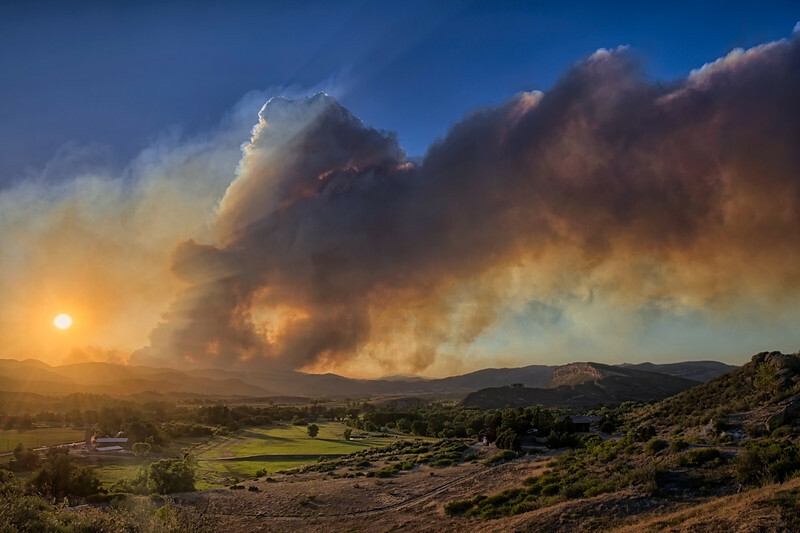 On this day (June 22) winds conspired with extreme heat and low humidity to power the fire across Highway 14/the Poudre River allowing it to enter the Glacier View Subdivision and grow roughly 10,0000 acres on this run. We now stand at 87,250 acres (over 100 sq miles!) with 55% containment, but full containment is not expected until the end of July. The High Park Fire is now up to destroying at least 257 homes, more than any other fire in Colorado history.